CANTON, Mass. 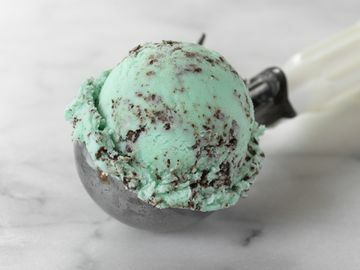 (October 1, 2012) – Baskin-Robbins, the world’s largest chain of ice cream specialty shops, today announced that it has brought back its “scarily” good Trick OREO® Treat ice cream as its October Flavor of the Month. 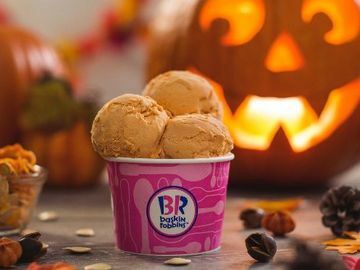 In addition, Baskin-Robbins has introduced a new Red Velvet Ice Cream Cake Bite to its lineup of individual treats and two new warm sundaes, the Warm Belgian Waffle Sundae and the Warm Brownie Sundae, to its fall menu for a limited time only. For an individual treat this fall, Baskin-Robbins is introducing the Red Velvet Ice Cream Cake Bite, the newest member of its Ice Cream Cake Bite lineup. It’s an elegant frozen treat featuring Red Velvet ice cream over dark red velvet cake, covered in chocolate-flavored coating and finished with a white rosette. 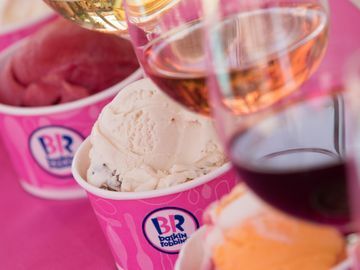 To accompany this mini-dessert, select Baskin-Robbins shops nationwide are offering Red Velvet cake-flavored ice cream with a cream cheese frosting ribbon. Ice Cream Cake Bites are sold individually for a suggested retail price of $2.99 each or $10.99 for a “mix and match” box of four. 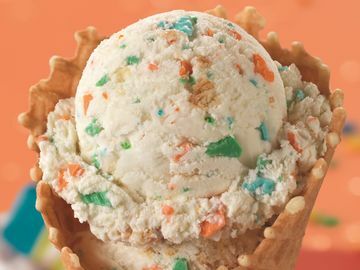 For a limited time only, participating Baskin-Robbins shops are also offering two new warm sundaes, which are sure to put a “cherry on top” of anyone’s day for a suggested retail price of $4.99 each. The Warm Belgian Waffle Sundae features two scoops of Pralines ’n Cream ice cream topped with warm caramel praline topping, whipped cream and the requisite cherry on top. The Warm Brownie Sundae is made with two scoops of your favorite Baskin-Robbins ice cream flavor and topped with hot fudge, whipped cream, chopped almonds and a cherry. 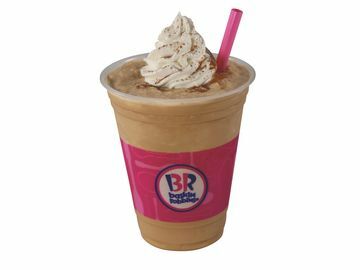 For more information about Baskin-Robbins’ frozen treats and its October Flavor of the Month, visit www.BaskinRobbins.com or follow us on Facebook (www.facebook.com/BaskinRobbins) or on Twitter (www.twitter.com/BaskinRobbins).